Discussing issues of parent-child contact ranging from breastfeeding to sexual abuse, Jean O'Malley Halley traces the evolution of mainstream ideas about touching between adults and children over the course of the twentieth century in the United States. Debates over when a child should be weaned and whether to allow a child to sleep in the parent's bed reveal deep differences in conceptions of appropriate adult-child contact. 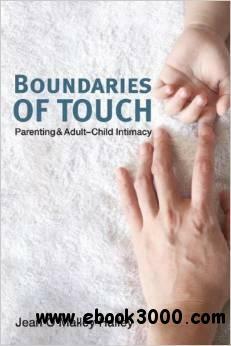 Boundaries of Touch shows how arguments about adult-child touch have been politicized, simplified, and bifurcated into "naturalist" and "behaviorist" viewpoints, thereby sharpening certain binary constructions such as mind/body and male/female. Halley discusses the gendering of ideas about touch that were advanced by influential social scientists and parenting experts including Benjamin Spock, Alfred C. Kinsey, and Luther Emmett Holt. She also explores how touch ideology fared within and against the post-World War II feminist movements, especially with respect to issues of breastfeeding and sleeping with a child versus using a crib. In addition to contemporary periodicals and self-help books on child rearing, Halley uses information gathered from interviews she conducted with mothers ranging in age from twenty-eight to seventy-three. Throughout, she reveals how the parent-child relationship, far from being a private or benign subject, continues as a highly contested, politicized affair of keen public interest.